Krabi’s Premier Massage Studio. Estd since 2011. Aonang Haven Massage is Krabi’s premier massage studio offering superior massage treatments in a professional and relaxing environment since 2011. Our aim is to provide our guests with quality massages within an ambiance conducive for a relaxing massage complemented with after-treatment Aroma Thai Herbal Tea. It is our pleasure to welcome respectful and considerate guests who appreciate our efforts and profession for a positive experience. “It was a very clean, comfortable and welcoming place to get massages. The prices were reasonable and all of the staff were pleasant. I am quite picky about where I go for massages in terms of cleanliness, but I felt very comfortable here. – Review by Kriss K on TripAdvisor, January 2018. 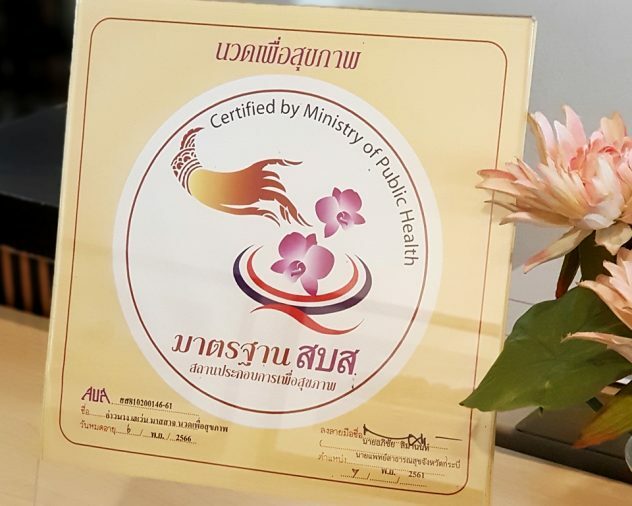 *Kindly note that we are not a spa but rather a professional massage studio specialising in massage treatments, therefore guests expecting a greater experience and amenities should refer to the respective spas available in Krabi.